Public: Already practising interpreters with a minimum of three years’ experience. Not open for beginners. Languages: The participants’ working languages can be any combination of English, French, Spanish, German and Italian as A, B, or C languages as well as Portuguese and other languages, provided there are two participants with these languages and one of their active languages is English. Method of the course: two days on principles and practice of consecutive interpreting and three days in simultaneous interpreting. It will begin with a two-day consecutive interpreting bootcamp, where participants will refresh their skills in analysis and note-taking, public speaking and presentation. A voice training workshop will complement the consecutive interpreting part. The second part of the course will hone participants’ simultaneous interpreting skills, with emphasis on analysis, reformulation, strategies, coping mechanisms as well professionalization. 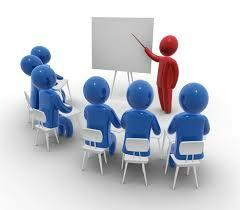 Each session will begin with a series of concentration and memory enhancement exercises. Working material will be providedin the form of real-life speeches on video as well as speeches prepared by the participants and the trainer for the consecutive part. As much as possible, the teaching material will also be adapted to an African context. There will be room for discussion on techniques and strategies as well as booth manners, market conditions and professionalisation in an African conference interpreting context.